Enjoy our variety of retail and food service products. Our quality is second to none. We are also a private label manufacturer. 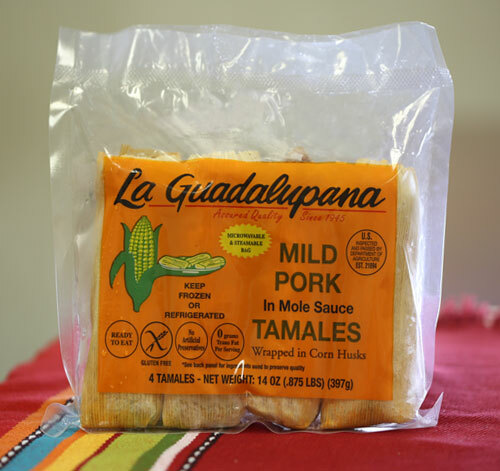 Use our fresh, ready-mix tamale masa for your family’s homemade tamales. Choose from 4 flavors: Salt, Chile Pepper, Strawberry, and Pineapple/Coconut. 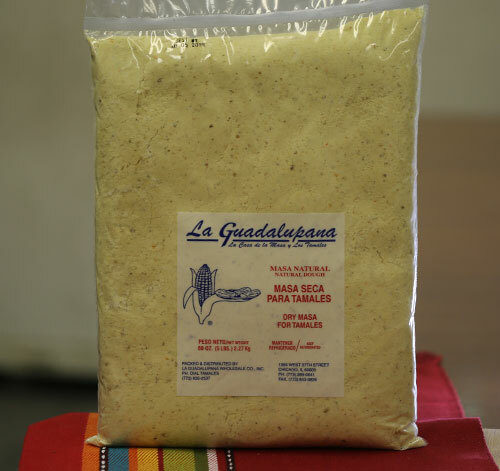 Our corn masa is perfect for making delicious homemade tortillas, gorditas, atole, champurrado, etc. Our ready-mix package comes in 3 flavors: White (Blanca), Yellow (Amarilla), or Blue (Morada). Choose your favorite! 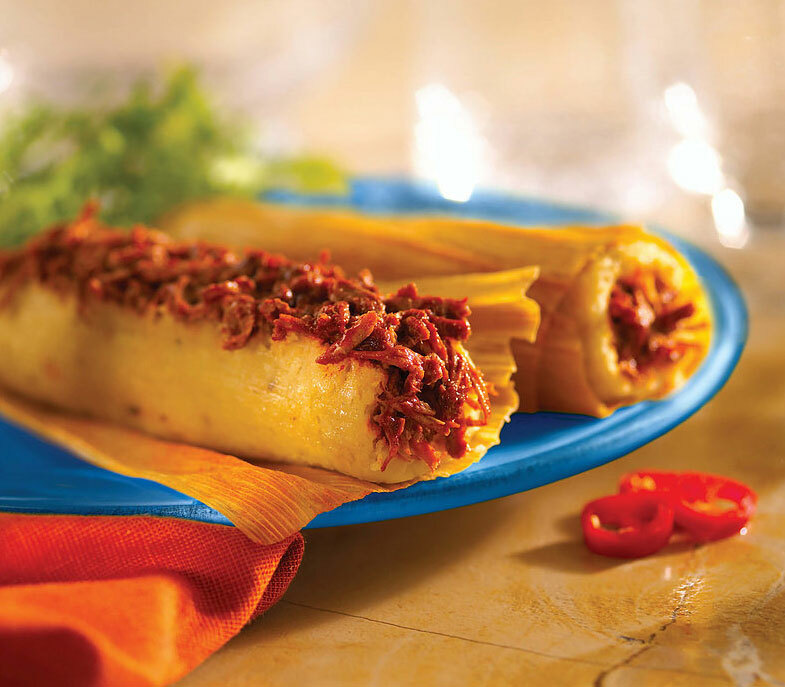 Enjoy our delicious tamales in just minutes! Place the bag in the microwave and serve hot. Choose from four flavors: Mild Pork, Hot Chicken; Mild Beef; and Beans/Cheese/Jalapeño. Try them all. These delicious corn-based disks are made to hold your favorite toppings! Just open the bag, fry, and they are ready-to-eat. Another favorite Latino treat. Our fresh, stone ground corn, is dry. 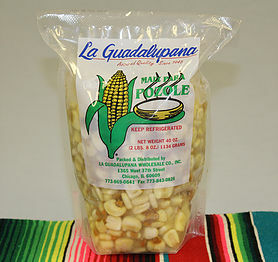 It’s great for making and putting a special touch on homemade tamales, tortillas, pupusas and other favorite dishes. 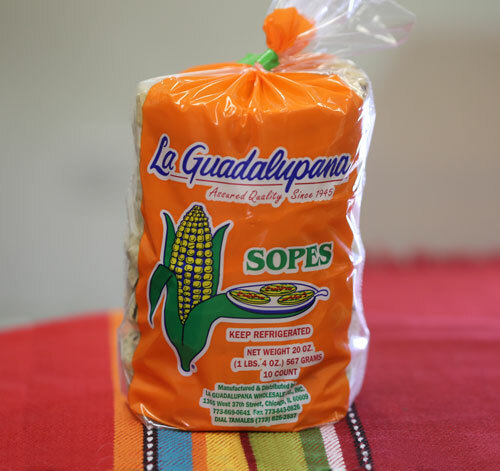 A perfect addition to your family’s homemade Pozole soup/stew recipe. Just add it to your recipe for a tasty treat! This product is packaged carefully and made fresh for you to love! 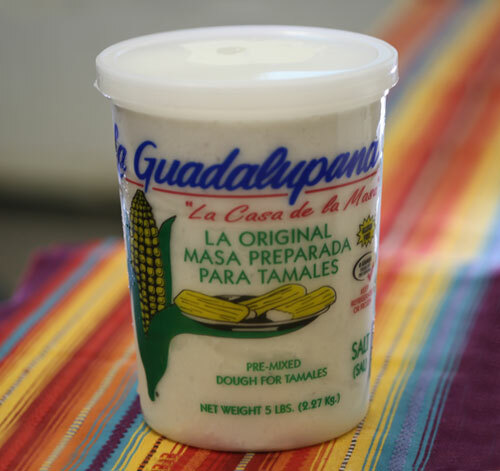 One of abuelita’s best kept secrets put in a jar! 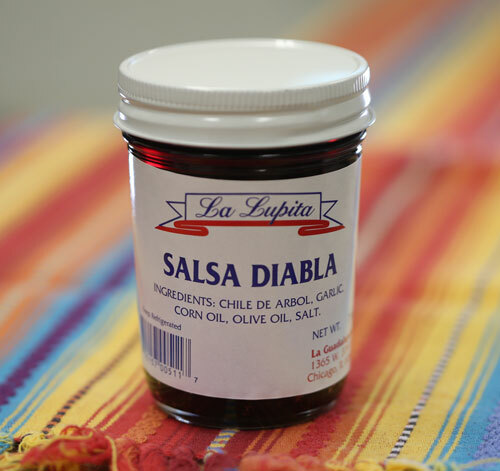 A little touch of La Lupita’s Salsa Diabla will bring any dish to life! For best results, include it in your favorite recipe. 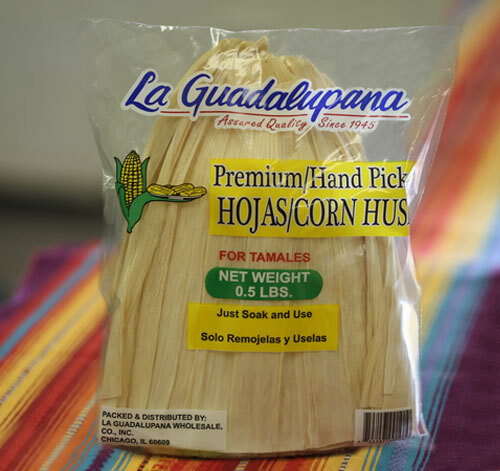 Our corn husks are pre-cleaned, so all you need to do is soak and use to make delicious homemade tamales. Choose from any of these products or contact us to create your own recipe. A classic in Mexican cuisine. 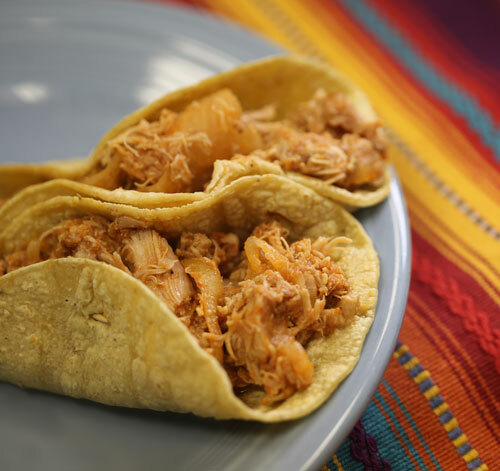 This is a shredded chicken that gets its special flavor from choice ingredients, like sliced onions, our special tomato-chipotle sauce, garlic, pepper, and added seasonings. This is a taste pleaser. 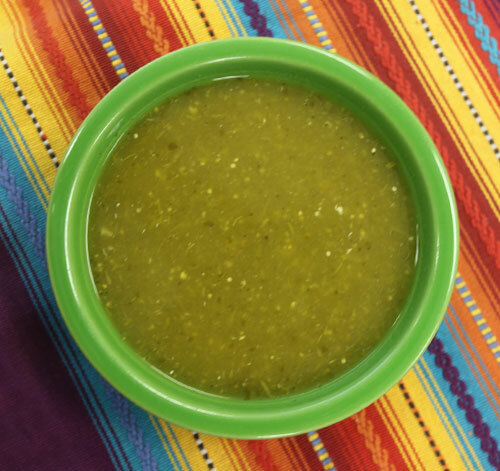 Our green sauce adds zest and flavor to any dish. We use only the best vegetables, including tomatillos, serrano peppers, jalapeno peppers, onions, cilantro, and garlic. There are many ways to make mole. 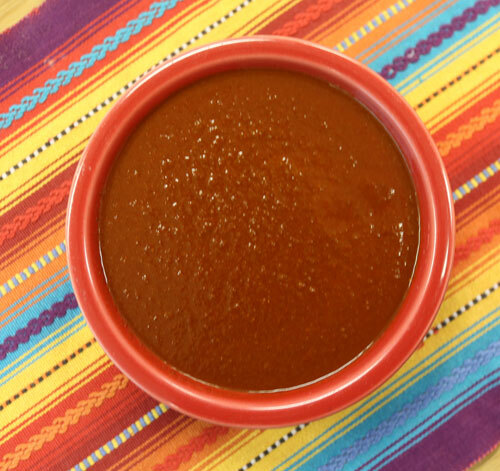 Ours is a chipotle flavored mole, with a hint of chocolate. It is made from scratch, with only the best quality ingredients. Once you try it, you will be coming back for more. 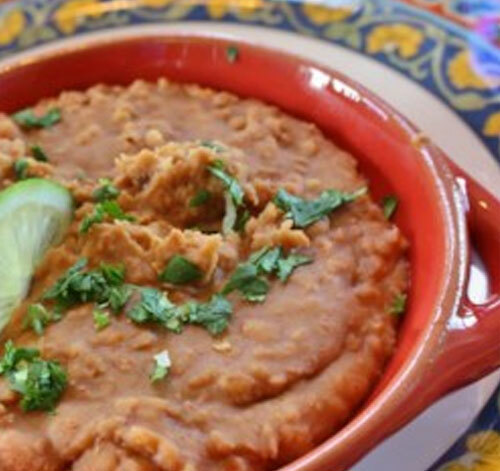 Enjoy our whole refried beans (dehydrated). Just add to boiling water and serve in minutes. 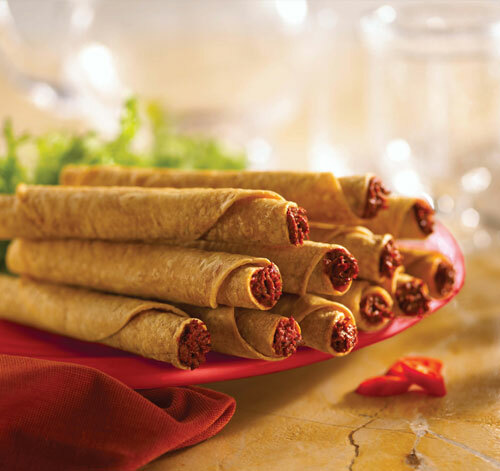 Our taquitos are stuffed with chicken or beef, and with our special sauces, veggies and seasonings. Then, you deep-fry to perfection. They make a great appetizer and you can’t stop eating them. They are really gooooood. 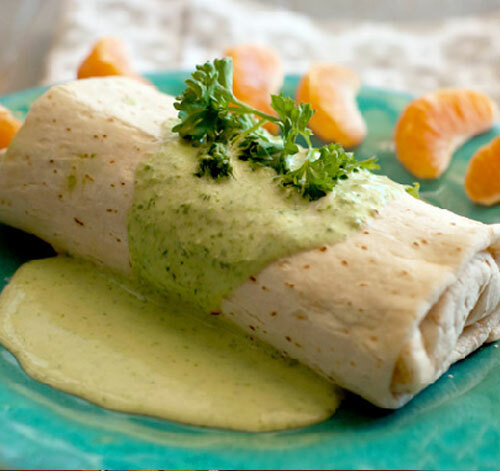 A favorite Tex-Mex dish, chimichanga is a deep-fried burrito. Our chimichangas are prepared with chicken or beef. 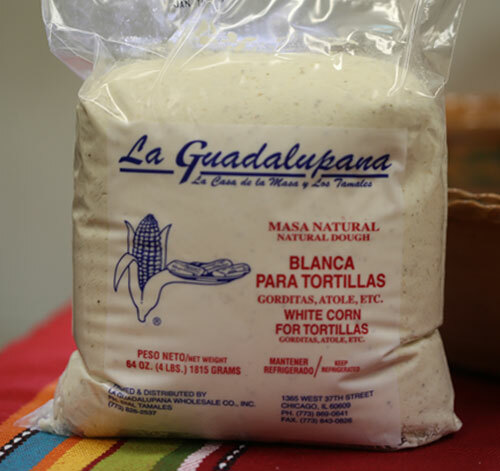 We use the best flour tortillas choice ingredients and seasonings. 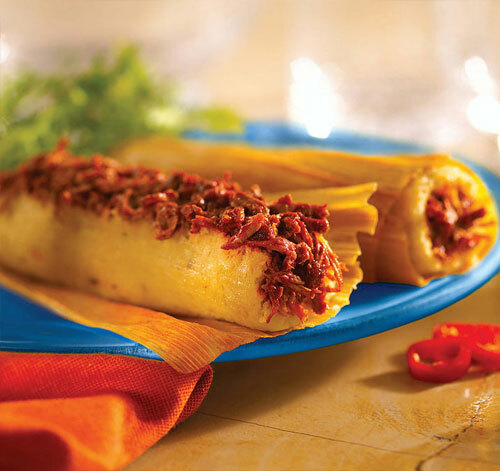 Our scrumptious tamales come in a variety of flavors that will please any taste, including: Mild Pork, Hot Pork, Mild Chicken, Hot Chicken, Mild Chipotle Beef, Strawberry with Raisins, Pineapple Coconut, Beans/Cheese/Jalapeños, Elote (sweetcorn), Vegetable/Salsa Verde, Rajas (Chile Poblano with Salsa Verde and Cheese. We offer a wide variety of products for PRIVATE LABEL production. Contact us about your private label needs. frozen to preserve its taste! We are an FDA and USDA-approved facility. We are 3rd party and customer audited. We’ll contact you right away!